I’m on my phone a lot more than I probably should be during the day. My battery totters at 35% somewhere around lunch and if I make it home with my phone still on, it was a good day. Sure there are all sorts of portable chargers out there which I could use, but they’re mostly big clunky things which don’t suit my lifestyle or my purse. That’s what makes the Zipstick from AR for Her so neat. Aside from being able to charge your cell or tablet – both Android and Apple products – it’s also quite fashionable. Check it out, a “girl” product that doesn’t come in only pink. But it does come with a built in LED flashlight and a micro USB to USB cable and features 2200mAh of power, which is definitely enough to give your phone a beefy recharge when needed. One of the great things about this handy little device is how innocuous it is. 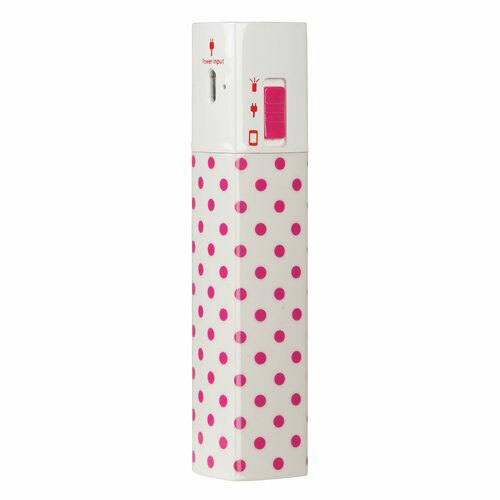 It really looks like a tube of lipstick or mascara, so it’s unlikely to get swiped if you leave your purse at your desk while you’re in the rest room. The AR for Her Zipstick Powerbank starts at $29.99.